Studies show that the chance of a fire occurring inside a building is far higher in winter. During the colder months, we rely on our heating systems to work overtime, and we are more likely to have fires and gas heating systems lit. People are more likely to flaunt health and safety rules and use unorthodox and unsafe heating methods, such as fan heaters and electric fires in offices and warehouses. We also use more power, with lights and electrical systems turned on for longer. Plus there is the fact that we simply spend more time indoors when it gets cold. The longer you spend in a building, the greater your fire risk. In workplaces, staff may have a tendency to avoid the cold and break the rules, for example, by smoking indoors in a hidden place. When you put all these risk factors together you find yourself at a higher chance of experiencing a fire. So what can you do to reduce the risk? Make sure that your staff are aware of their obligations, and watch out for rule-breakers. Stress the importance of only using PAT tested and approved heaters, and ensure you arrange a service check for your building’s heating systems. You should also undertake a full audit of your premises’ fire safety profile, and make sure these extra risks have been accounted for. Fire safety should be a year-round task, but when the risk rises your awareness of it should follow. Fire doors and shutters can really make a difference if a fire does break out. 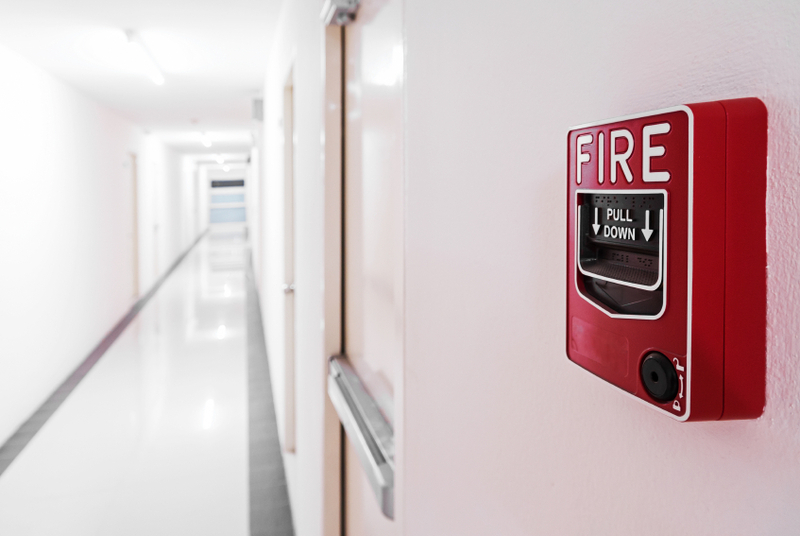 Make sure that your building is up to code and prevent the spread of fire by installing fire containment doors at strategic points. If you do need to engage additional heating systems in winter, make sure that they are used in areas with fireproof doors and that those doors have been recently serviced, just in case a problem does occur. If you need fire resistant shutters in London, Abacus Shutters have got you covered. We supply, fit and service security and safety doors of all types, and we are here to help in the event of any emergency. Contact us for free quotes, call-outs and general enquiries.